Juice Fasting & Detoxification: Use the Healing Power of Fresh Juice to Feel Young and Look Great - The fastest way to restore your health! The human body has an incredible capacity for healing and longevity. Within it is an intelligence more powerful than any drugs or a surgeon's knife. Fasting gives your body the well deserved vacation it needs to repair itself. The power that made the body can heal the body. 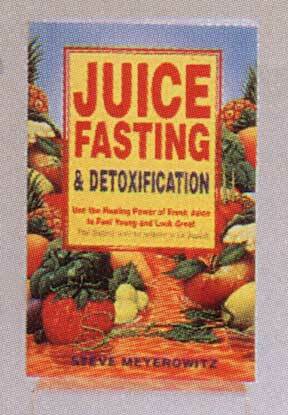 Fasting and juice therapy revamp your health from the inside out. This book shows you how to tap that power and how to fit it into a busy lifestyle. It's easier than you think. Even just one fast day per week provides 50 rejuvenating days per year. Give your cells and yourselves the opportunity to cleanse, nourish, rejuvenate and heal.